Promoters Michael and Anthea Newton of Roundhouse Entertainment began A Day On The Green in Victoria with the first show on Australia Day 2001. Since then it has grown to become firmly established as one of Australia’s most successful and respected outdoor concert events. 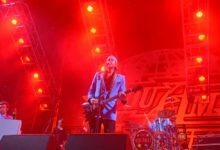 A glittering array of International and Australian stars have performed during the past fifteen years providing unforgettable musical memories. 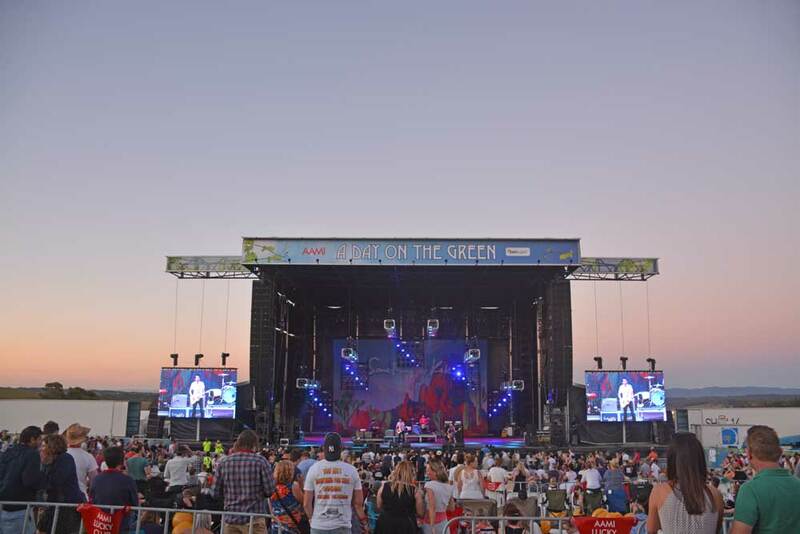 A Day On The Green runs in the summer months from October – March with around thirty concerts per season in the all major wine-growing regions around Australia. 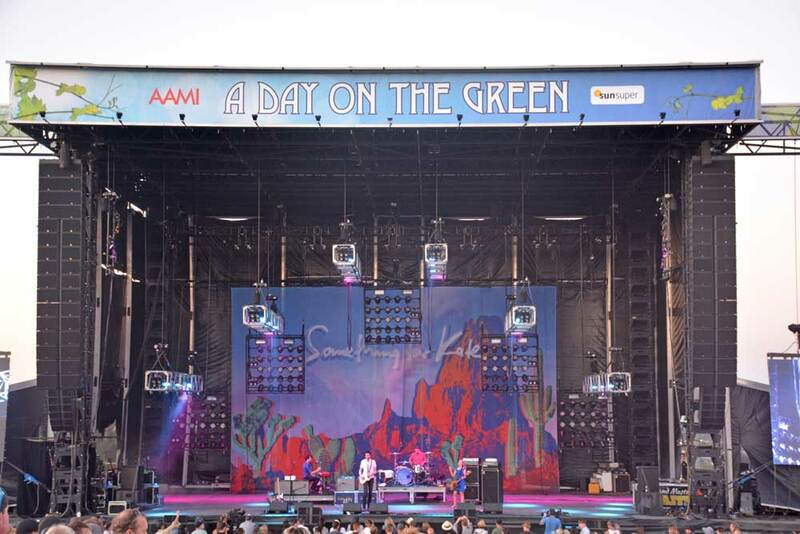 This year kicked off at Bimbadgen Estate with the Monster National Tour featuring an all Australian line up including You Am I, Something For Kate and Spiderbait. 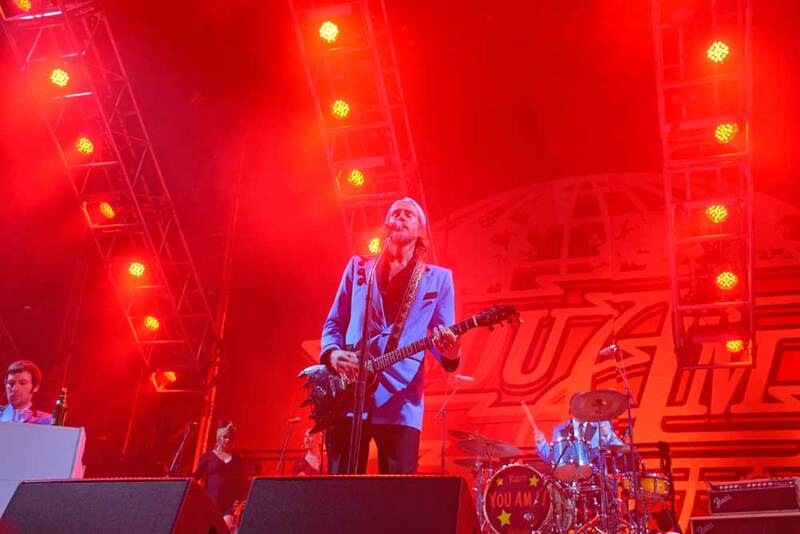 As in previous years, JPJ Audio supplied crew and gear for the tour. 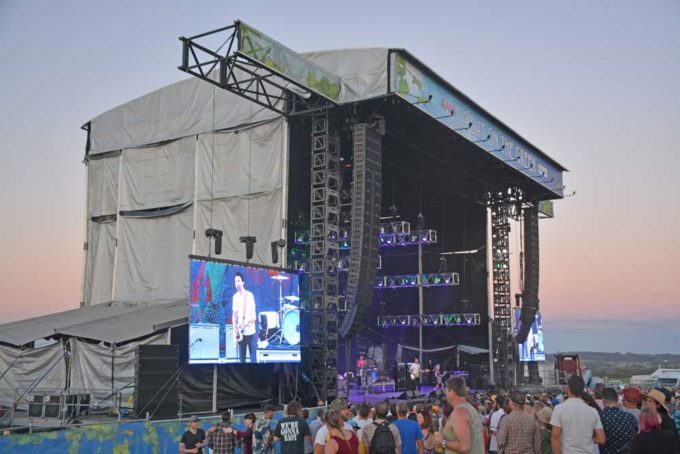 FOH Systems Tech Ryan Fallis has done ADOTG for the past eight years and has experienced everything that nature can throw at an outdoor show. The Bimbadgen show was no exception with high winds at midday causing the stage to be shut down for over an hour, just when acts were about to sound check. Added to that was a large bushfire nearby that threatened to have the show cancelled. 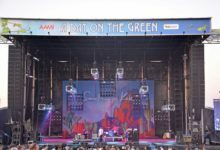 As the ADOTG gigs travel the country the PA system is provided through the three JPJ offices in Sydney, Brisbane and Melbourne whilst the FOH package is toured. At Bimbadgen an L-Acoustic K1 rig out of Sydney was used comprising of twenty-four K1 boxes in the air for the mains, eight K1-SB in the air, twelve Kara underneath the mains, twenty four SB-28s on the ground, four Kara infills and for the sides ground stacked V-Dosc. At each ADOTG show engineers request the mixing console they require, in this case there were two Avid Profile consoles with JPJ’s Adrian Roche mixing monitors on a Yamaha PM5d. Gallery – click images to enlarge.